A periodic update on science, especially biology, news and ideas new and old. 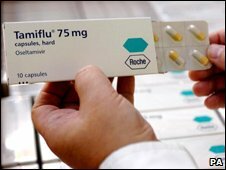 Experts have reported the first case of swine flu that is resistant to tamiflu - the main drug being used to fight the pandemic. Roche Holding AG confirmed a patient with H1N1 influenza in Denmark showed resistance to the antiviral drug. David Reddy, company executive, said it was not unexpected given that common seasonal flu could do the same. The news comes as a nine-year-old girl has become the third to die in the UK with swine flu. For more on this topic go to Global Climate Change Impacts in the United States. A new, two-step method of ovarian transplant has had excellent results, giving women a greater ability to conceive after cancer treatment or when older, doctors announced Monday. The technique successfully and quickly restored ovarian function enabling two patients to become pregnant. Scientists have performed ovarian transplants in women with cancer before, since chemotherapy often leaves them infertile. The ovaries are removed before the toxic treatment begins in order to re-implant them later. It’s tough being a whale these days. The International Whaling Commission has just wrapped up its annual meeting in Portugal with a whaling ban still intact, but with fissures deepening between the save-the-whales crowd and countries such as Japan, which wants to see commercial whaling reinstated, at least on a limited basis. And along comes a new study suggesting that Japan’s fishing operations are taking far more minke whales a year as by-catch than the Japanese government is officially reporting. 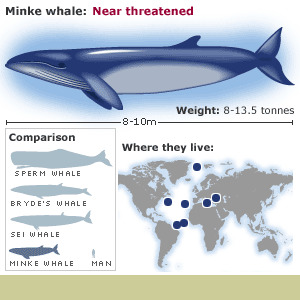 Based on DNA samples taken from commercially sold whale meat, a team from Oregon State University and the University of California at Irvine estimate that by-catch takes in 150 whales a year on average — about the same number the Japanese government officially acknowledges taking in its own scientific whaling program. Using nanotechnology, the IBN team has produced an effective treatment for brain infections. Major brain infections such as meningitis and encephalitis are a leading cause of death, hearing loss, learning disability and brain damage in patients. The brain membrane is impenetrable to most conventional antibiotics because the molecular structure of most drugs is too big to enter the membrane. IBN’s peptide nanoparticles, on the other hand, contain a membrane-penetrating component that enables them to pass through the blood brain barrier to the infected areas of the brain that require treatment. The ability of IBN’s peptide nanoparticles to traverse the blood brain barrier offers a superior alternative to existing treatments for brain infections. Labels: antibacterial, brain infection, meningitis, Nanotechnology. ScienceDaily (2009-06-29) -- Japan's BSI-TOYOTA Collaboration Center has successfully developed a system that controls a wheelchair using brain waves in as little as 125 milliseconds.